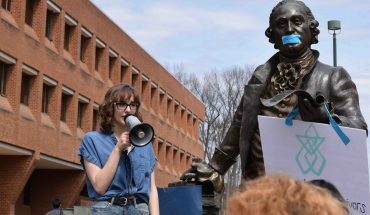 *** Warning: This piece includes content regarding sexual assault. As I sat there on the plane, with my hands folded in front of me, I could not help but to feel a rush of unease come over me. Perhaps this feeling was from the turbulence, or maybe the fact I was hundreds of feet in the air, but to this day, I feel as if my body was warning me of what was yet to come. No one ever prepares you for the realities of these kinds of situations: the types of situations that leave you speechless and voiceless for years to come. In the winter of my junior year of high school, I was raped in Boulder, Colorado. I was there to see the college and to see the city, but instead all I saw was a man on top of me–insisting that I stayed. As a 16 year-old, I didn’t know much about sexual assault or, to be frank, that it could happen to someone like me: a man. However, I understand now that it can happen to anyone, in any place. And the last few weeks, survivors like myself have sat with our arms wrapped around each other. 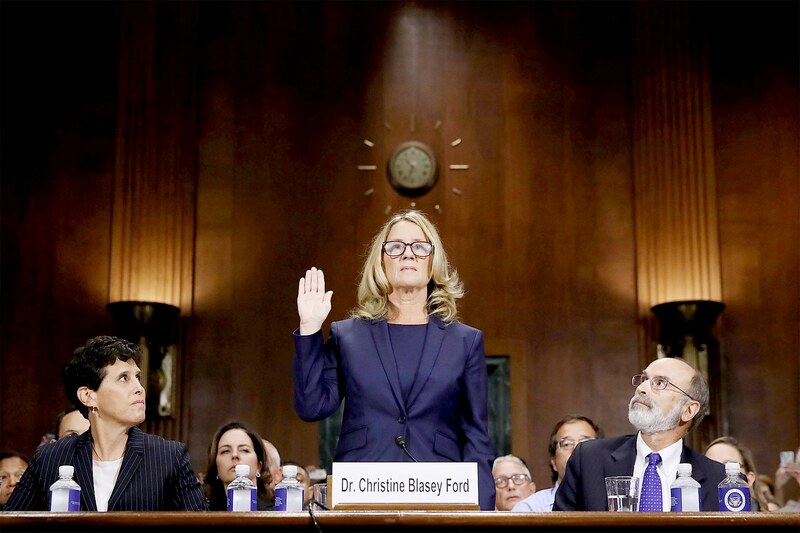 Together, we’ve watched as brave women like Dr. Blasey Ford relive their experiences in front of entirety of the world. We’ve seen our own stories and voices amplified through others, if not through ourselves. However, we’ve also seen a once-heavy drinker and presumed predator sitting in front of America’s senators, denying allegations and doing much to stay in his position, going even further into what many see as lies. I can tell you that this right here, this supposed fair process of law and justice has been made a mockery of. Dr. Ford, as well as survivors and empathizers across this country, have called upon our American judiciary system and federal law enforcement to do the work for the sanctity of the Supreme Court. However, we’ve seen politicians like President Trump who have so viciously stood up for the accused but not allowed for a secured, independent FBI investigation. We’ve seen conservatives become so fuzzed by their partisan lines that they no longer live and vote by their supposed “family values.” But within all of this negativity, we have seen hundreds of survivors and empathizers come together for a common cause: justice. I sit here, writing and inspired, as I watch fellow survivors come forward with their stories. It’s brought about a rise of passion in many, including myself, to speak out and help the world to understand that the issue of sexual assault is something that we can not ignore now–or ever. To Dr. Blasey Ford, and the many survivors who have come forward with their stories recently, thank you. My life is forever changed, and my heart can finally heal. *** If you know someone who has been sexually assaulted on campus, or you yourself have been, please reach out to Mason PD (703) 993-2810). If you’re in immediate danger, please call 911 and/or go to an emergency room right away. 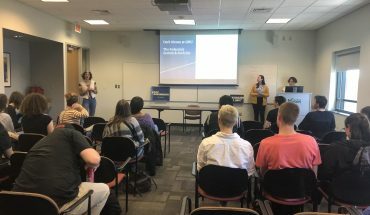 If you are in need of psychological services, please reach out to Mason’s Counseling and Psychological Services at (703) 993-2380 and/or https://caps.gmu.edu/about-us/contact-us/. Your safety and rights are more important than anything at this point. Elijah is a Freshman and a Government and International Politics major. As a Staff Writer for the Opinion's column, Elijah loves to bring his perspective as a Giffords Courage Fellow and progressive activist.